With the alternative rock genre continuously growing, creating music that will stand out is no easy feat. In The Cards explore a range of juxtaposing ideas through their tracks. Contrasts can work extremely well in song writing and In The Cards include contrasts in different layers of their music in their new EP, Eyes Beyond Reflection. This is demonstrated clearly by the vocals of Amy Colclough and Danny Jones which add different tones to their tracks. Mazes, the EP’s opening track, shows off Amy’s soaring voice and Danny’s vocals add extra depth in the chorus. The edge to his voice contrasts the fluidity of Amy’s vocals. Mazes also contains contrasts in the instrumentation. The opening piano line suits serene tones of Amy’s voice and as the track progresses edgier tones appear through distortion in the guitars. The bridge suddenly takes a heavier tone adding a progressive edge. Beautiful Silence opens with a chord progression reminiscent of early 00s alternative rock – Paramore-style vibes are prevalent here. That being said, this track is by no means an imitation of other artists. Amy’s vocals take on an edge and display more power, whilst still retaining softness in the soaring notes. Fast-paced guitar riffs and percussion give this track a high-energy feel. The abrupt ending suits the harsher tone of this track. The Only Thing opens with a well written guitar riff, accompanied with stabbing piano chords and percussion. This track opening feels raw and stripped down with Amy’s vocals taking centre stage. Danny’s soaring vocals reveal another side to his voice and emphasizes the soaring notes in the vocal line that complement the busier instrumentation. Soaring vocals in the chorus are incredibly atmospheric and uplifting. Juxtaposing the fast, harmonised guitar solo the instruments and vocal line create a developed layered effect and the results in a full sound. Careful Eyes contrasts the previous tracks on the EP with its calmer tone and stripped-down instrumentation. This track still has a powerful energy behind it but is less aggressive with lessened use of distortion in the guitars. The guitar solo contains longer held notes which is far more apt and mirrors Amy’s vocals which hold longer notes throughout the track. Hollow Hearts opens with a gradual build up in the instrumentation. The layering of the guitar melody and underlying piano melodies create an atmospheric sound. The fast guitar riff works effectively as a build up to the chorus, while bridge focuses on the guitar melody and percussion – Amy’s powerful vocals, especially when harmonised in the chorus, also take a strong hold in the track. Reductions to the instrumental layers allows those melodies to take centre stage. Once again, the layering of instruments and vocals creates a powerful sound. In The Cards soar through this EP with vocals and melodies that elevate their alternative sound into something unique. The range of tones explored across the five tracks demonstrate their ability to diversify their sound whilst ensuring there is cohesion between the tracks. With an established sound and tone, In The Cards are clearly identifiable and recognisable in a genre where everyone is fighting to be heard. 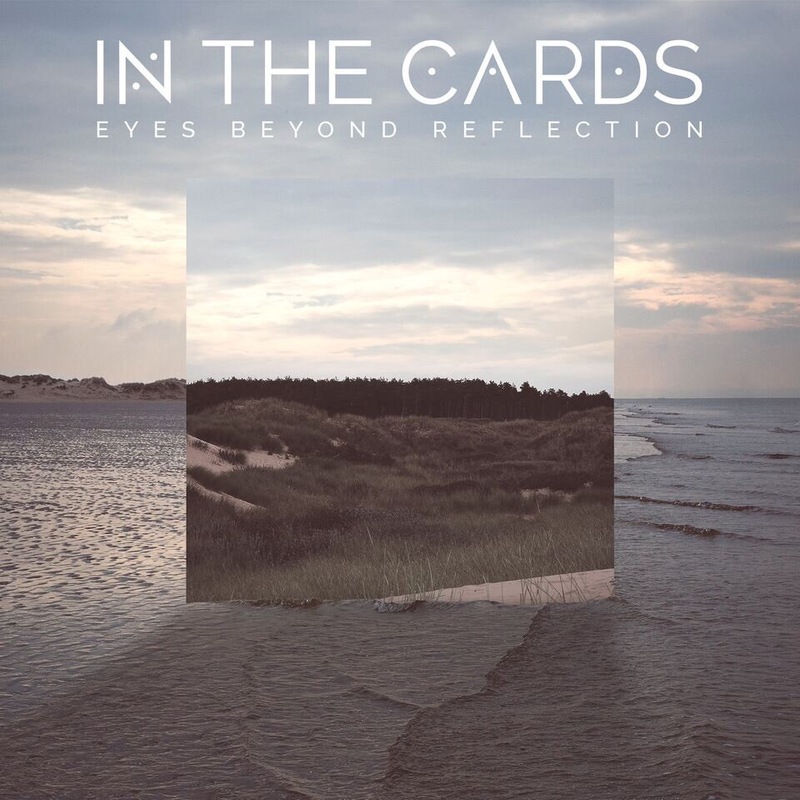 ‘Eyes Beyond Reflection’ by In The Cards is out now.